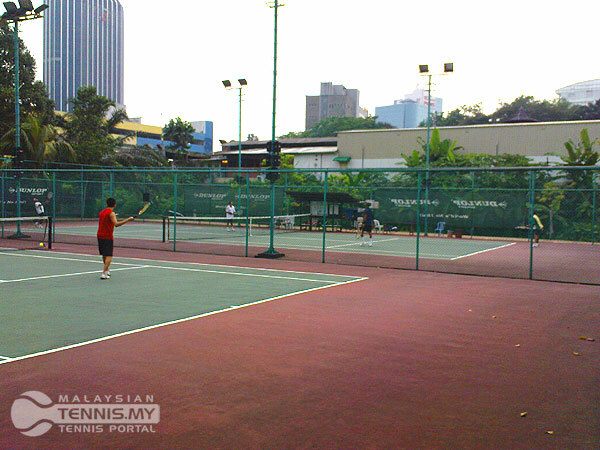 Here’s a pair of very nice private club courts located at Dataran PJ, Petaling Jaya, Selangor. Unfortunately it is for members of PJ Club only. It is located right next to the football field at dataran PJ and is close to the famous 24 hours A&W restaurant in front of Amcorp mall (check the green arrow on the google map above). 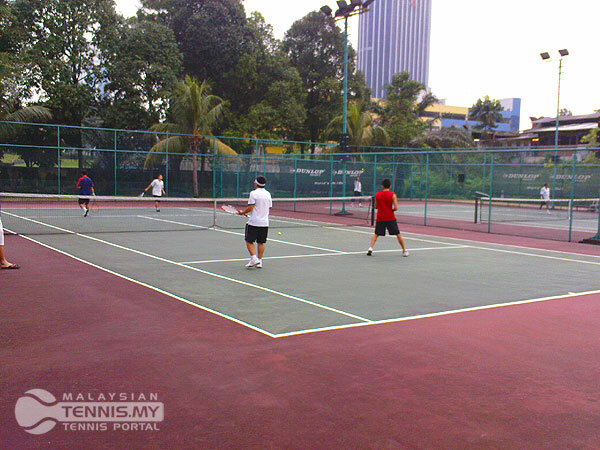 The location of this place are quite well known to folks in Petaling Jaya & the courts here are surrounded by some nice greeneries like the football field & some trees. Night lighting is quite ok. The courts has lotsa chairs & benches. Court, net post & net quality is nice & good. I would rate these courts here 8 out of 10. It would be nicer if the fencing is wider because it can get tight on doubles especially if a short angle ball is hit towards the doubles alley. 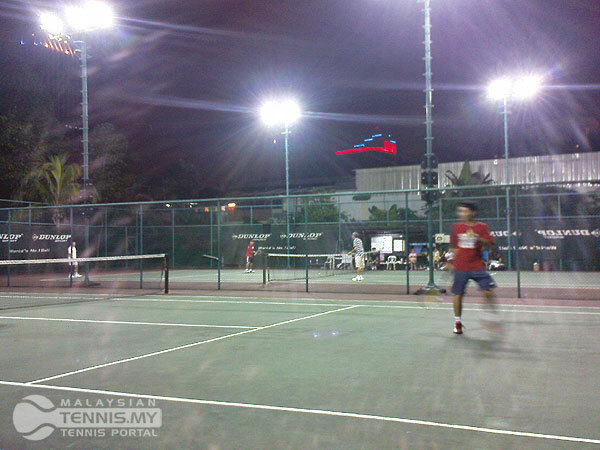 These courts would have been great if they’re public courts as the location is quite nice with a LRT station nearby. Anyway, for a public court that is closeby, you can check out Astaka which is run by MBPJ. 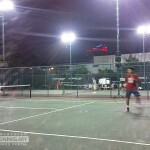 It will be featured here on tennis.my in the future. Any idea on the membership rates of PJ Club? 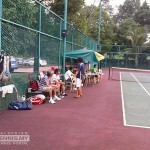 Would be interested to join & utilize its tennis court facilites. 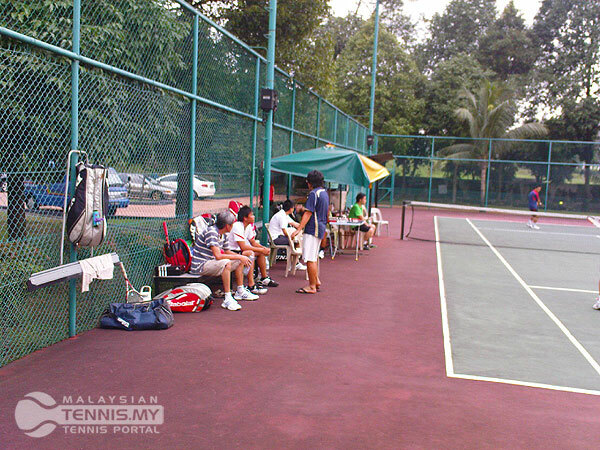 best is if you go to the courts yourself to enquire with the club members. Around 5pm & above would be nice cos there would be lotsa people playing. 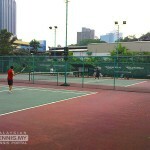 I am looking for a tennis partner. If any of you interested please call or text me Lutfi at 0166316063 or 0172501168.
i’m looking for a tennis partner. Please contact 013-2008681. Around pj/shah alam. Thank you. I m looking for sparing partner/group. 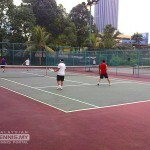 Need exercise do contact 012-4261150.